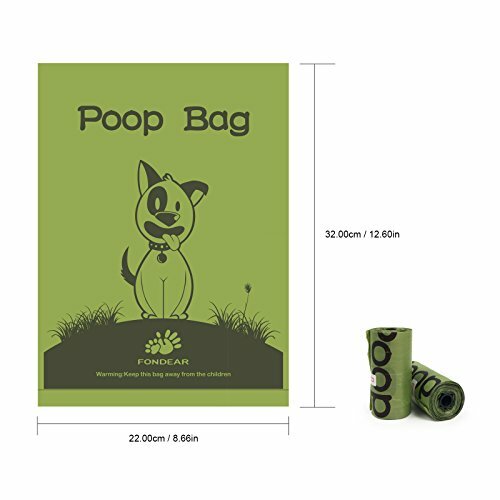 Eco-friendly material – Adopting EPI technology, 100% bio-degradable, Fondear’s poop bags are friendly to pets and environment. Bonus dispenser – Each box of rolls is accompanied with a dispenser. 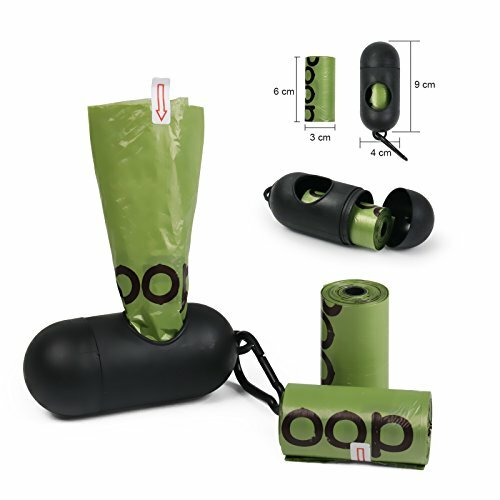 Insert a roll of bags in the dispenser, then attach the dispenser to your backpack, pet carrier or dog’s leash for easy access. 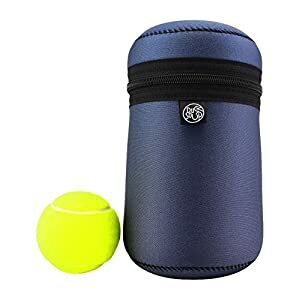 Waterproof and odor free – Pet discharge gives off smells and is often wet, but Fondear’s poop bag is reinforced and features excellent waterproofness, leaving no leak behind. 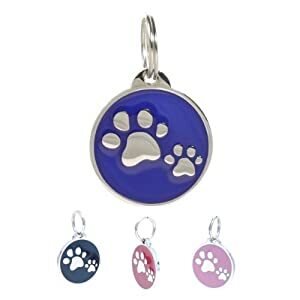 As a pet lover, have you ever worried about the waste when taking your pet outside? Are tissues or ordinary bags are just enough? Of course not. 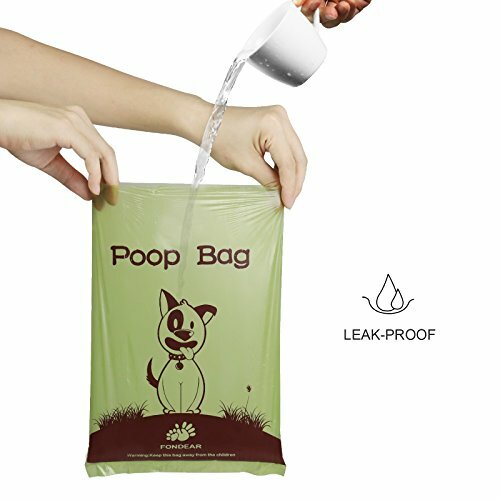 Pet waste may contaminate your hands as tissues are not moisture-tight, let alone it is definite inconvenient for you to carry a smelly bag along while searching for a dustbin. 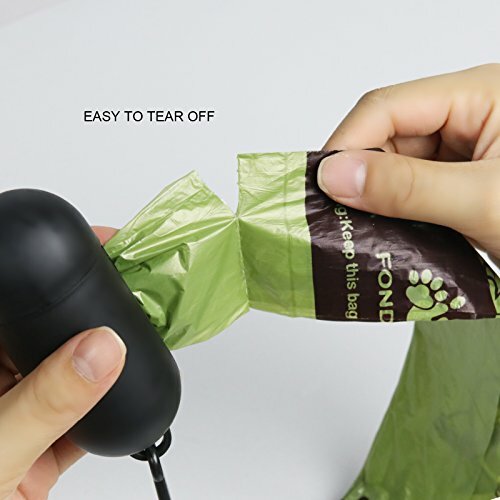 Fondear’s poop bags are lightweight, tough and thin, enabling you to tackle with your pet’s “instant needs” at any time and freeing you from fumbling for tissues or bags among the jumble of accessories in your backpack. 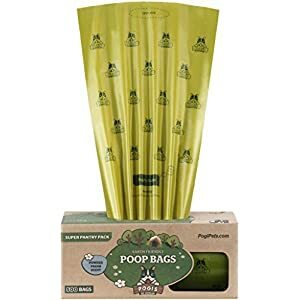 Fondear’s poop bags cater to all your needs – they are medium-sized, odor free, ultra-thin, tough, watertight and eco-friendly. 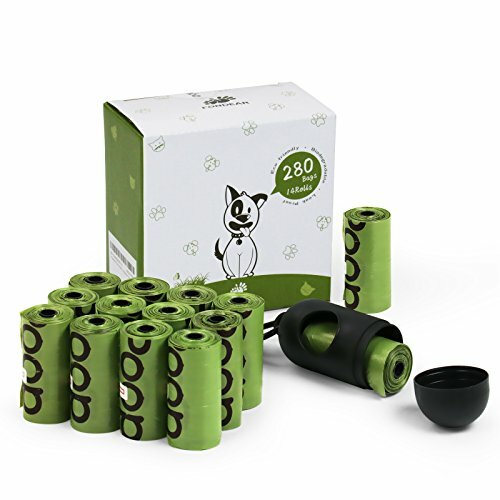 14-pack includes 280 bags and a dispenser, easily satisfying your pet’s daily needs. More eco-friendly: the adoption of EPI technology makes it easier than an ordinary trash bag to be thoroughly degraded by microorganisms, totally friendly to the environment. 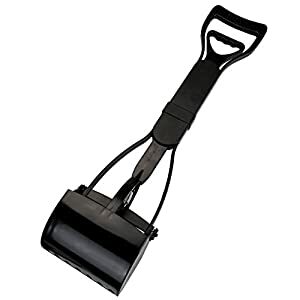 More convenient: attach the filled dispenser to your pet carrier or dog’s leash for easy access, and save yourself the hassle fumbling for bags or tissues in your backpack. More compact and adorable: the capsule-shaped dispenser is also an adorable decoration to your bags.